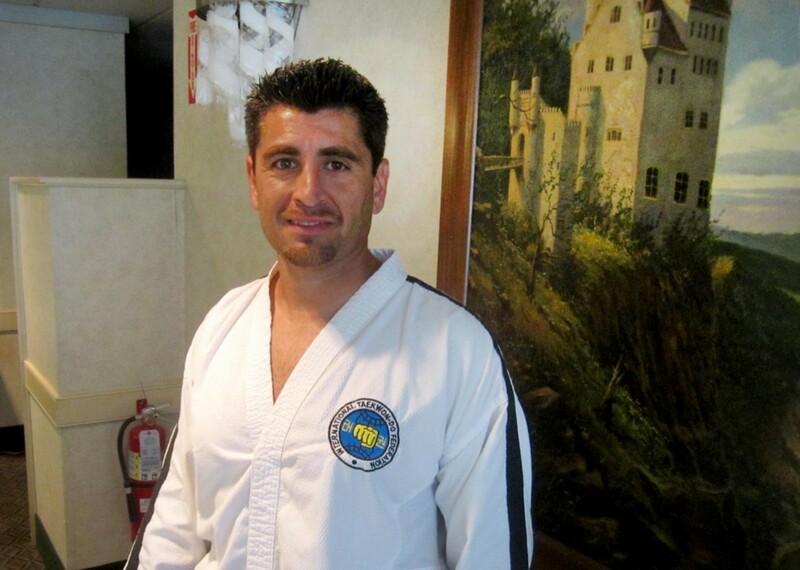 Marcello Cancelliere, owner of Red Tiger Taekwon-Do in Bustleton, told the Rotary Club of Frankford-Northeast that the benefits of the Korean martial art include self-defense, discipline and stress relief. Red Tiger Taekwon-Do owner and head instructor Marcello Cancelliere insists he hasn’t worked a day in his life. Cancelliere, 40, spoke about his passion at the June 5 meeting of the Rotary Club of Frankford-Northeast. The businessman is a graduate of Mater Dolorosa Elementary School and North Catholic High School. He earned an anthropology degree from Temple University. Mario Cancelliere, his Italian-born father, opened a tae kwon do studio in 1983 at 4665 Frankford Ave., under the El and above an MAB paint store. Young Marcello began training in the late 1970s and opened his first studio at age 16 near Rising Sun and Cottman avenues. It moved to Feasterville in 1991 and relocated to Mayfair in 1994. 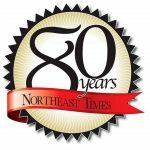 The Mayfair school, or “dojang,” outgrew its location and moved to its present site at 1912 Welsh Road in Bustleton in 2001. Over the years, he’s been a competitor, captain or coach at seven tae kwon do world championships. A married father of three, he lives in Churchville, Bucks County. In addition to tae kwon do, which is a Korean martial art founded in 1955, Red Tiger offers programs in yoga, spinning, personal training and cardio-kick. Cancelliere, a seventh-degree black belt, explained that tae kwon do’s benefits include self-defense, discipline, stress relief, self-control, confidence, self-esteem and cardiovascular fitness. The school is for men, women and children, both advanced and beginners. There are morning, afternoon and evening classes that offer contact and non-contact drills. The oldest student is 78. Cancelliere said he’d accept a 3½-year-old “Little Tiger” if he or she could follow direction. Students who show commitment and proficiency can test for belts and move on to national and international competitions. There’s also a charitable component of the school. It’s raised more than $200,000 for the National Multiple Sclerosis Society and also made donations to cancer and school scholarship organizations. In addition, students pursuing their black belts perform community service projects, such as taking part in cleanups and volunteering at soup kitchens. For safety, the floors are matted and sparring sessions require headgear and mouth guards. “I think I’ve called the ambulance to my school three times,” said Cancelliere, explaining that a boy broke his leg once while jumping and the other two incidents were unrelated to the tae kwon do instruction. Cancelliere told Rotary members that the tenets of tae kwon do are courtesy, integrity, perseverance, self-control and an indomitable spirit. “We don’t allow students to go around testing their techniques on other people,” he said. The classes are designed to be fun, but students are expected to be punctual, bring in their report cards and be all-around good citizens. Anne Marie Coyle was on the job four months as a Philadelphia assistant district attorney when she had a scary experience. Back in 1986, before the Criminal Justice Center was built, cases were heard in City Hall. One day, a woman smuggled a gun into Room 196 and began shooting. A court officer was seriously wounded. “She was a little upset with her boyfriend,” Coyle recalled. The young prosecutor suffered a concussion after hitting a table while scrambling out of harm’s way. The “diving DA,” as she was called, had many more calm days on the job. She worked there for 16 years before leaving in 2002, handling homicide cases and other violent crimes under Ron Castille and Lynne Abraham. “I loved that job,” she said. Today, she lives in the Far Northeast and is a partner in the firm Marino, Conroy & Coyle, which is located at Third and Wharton streets in South Philadelphia. The attorney encouraged the Rotary members to smile and speak with people, not over them or to them. She also called on them to announce their names with authority when introducing themselves. And for those who think they have it rough, Coyle has seen it all in the last decade focusing on family law. “I’m not going to complain so much today,” she tells herself after particularly tough cases. In the question-and-answer session, Rotary members were interested in Coyle’s past and future runs for judge. In 2009 and 2011, the Republican ran uphill bids for Common Pleas Court. Like some of the candidates, she cross-filed on both major party ballots. “You really need to win on the Democratic side,” she said, noting that party’s huge voter registration advantage. The keys to victory, she believes, include meeting as many people as possible and drawing a good ballot position. Candidates also have to raise a lot of money. “It’s a necessity, unfortunately,” she said. The 2011 race was particularly expensive. “Financially, it really, really drained me,” she said. She declined to run this year for the 169th Legislative District seat and doesn’t miss having to go from event to event every night on the campaign trail. Asked whether social media is important in a judicial race, Coyle argued that it isn’t. The Rotary Club of Frankford-Northeast meets every Tuesday from 12:15 to 1:30 p.m. at Cannstatter’s, at 9130 Academy Road.